Are you planning to buy a new car? Do you have questions that bother you about things related to cars? 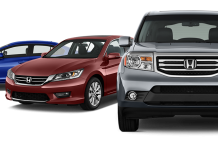 Do you have a hard time choosing which is better for you if a brand-new car or a used car? Do you need help in this crucial situation? Well, buying a car is very easy actually, if you just follow on the right track. Choosing a car is very easy as well, it depends on your preference; if you are someone who prefers a brand-new car or an avid fan of used cars. However, not everyone out there is experts when it comes to this matter, in fact, a lot of people out there are yet to own their first car. And this is where the painstaking task comes in. Choosing between a brand-new car and a used car. Actually, both type of vehicles has its own strengths and downsides, but if you have a tight budget and badly wants to have a new car, if I were you, I would totally go all in for a used car, or if you have the money that you can pay upfront or have the financial capacity to pay it via installment through financing options then why not buy a brand-new car? 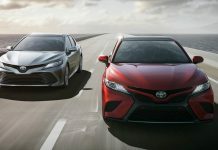 Used cars have its reasons why a lot of people prefers to buy this than a brand-new car and the latter also has its reasons as well, but before you decide to buy one, you should read this article and learn its advantages and disadvantages that you will surely use once you are already at the dealership’s showroom choosing a car. Advantages- The best thing about a brand new car is that everything in it is new, you are the first person to use it. Everything is undamaged and it also has a warranty. Brand new cars also boast the latest technology and innovation which means it provides you with more convenience and safety and also the ability to economize gas and mileage with lower emissions. Brand new cars also have their own hybrid variants which effectively low cost in maintenance and gas. Disadvantages- The biggest downside of purchasing a brand new car is that it is quite expensive for many brands out there. And a lot of car brands and manufacturers introduce a new model every two to three years which creates a depreciative state to your current car in time because the brand new model comes with new design, new features, and new innovations. Advantages- The best thing about buying a used car is that it is relatively new that is disposed of by its previous owner because of depreciation, which means that the used car you’re planning to buy is still new and is not overly used after all just like the used cars in plantation that are for sale. Second-hand cars can be sold at the same amount that you paid for it for the years to come which means depreciation is not a big deal to it. Disadvantages- When it comes to reliability, used cars need to be monitored regularly because it’s already used and it already spent its mileage from its previous owners which means that it needs more repairs compared to brand new ones. Used cars’ engines are reconditioned which means it is prone to mechanical problems.